Treat bags that are great to give to all of your four legged friends! 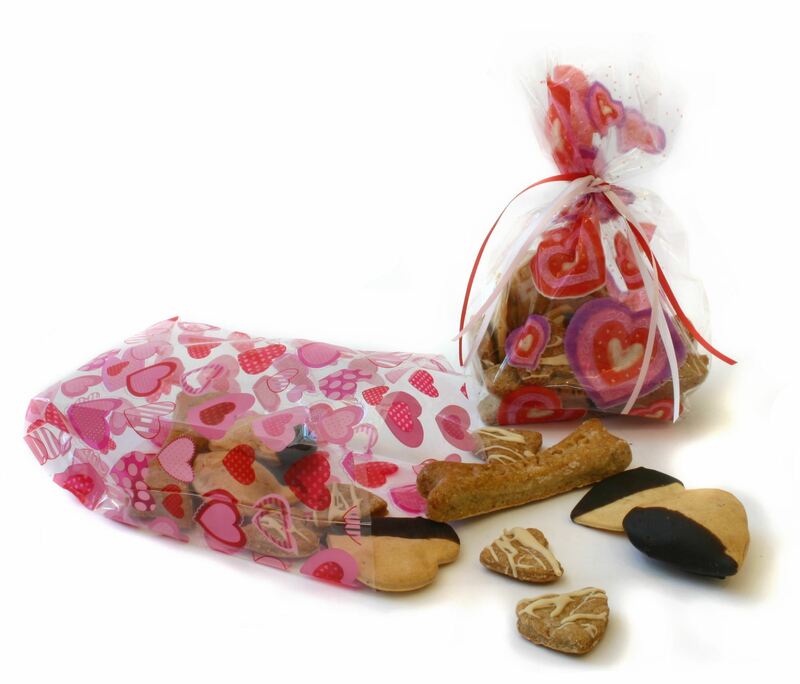 Valentine Treat Bags that are great to give to all of your furry friends. Each treat bag contains 1/4 pound of: "I Love You" Chicken Bones, Peanut Butter Hearts dipped in Carob, and Apple Oatmeal Hearts. 4 quarter pound bags. 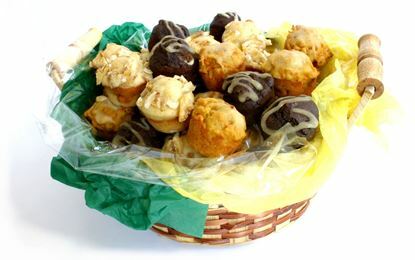 A large basket filled with three dozen of our moist and tasty Brownie Pup Cakes, Carrot Cakes and Banana Crunch dog Muffins. 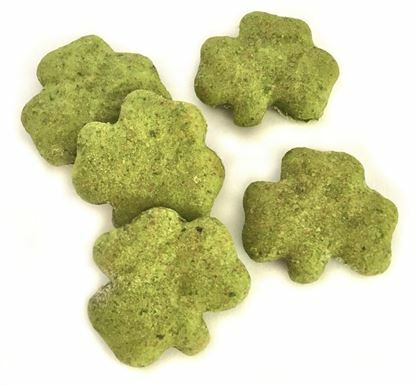 Great for smaller dogs, these dog treats are made with fresh apples, oatmeal, whole wheat flour, honey and touch of cinnamon. A great way to find out which treat your dog likes best! Copyright © 2019 Healthy Hound Bakery. All rights reserved.